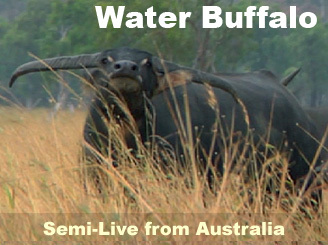 After many trips to the African content, this year we decided to change things up and visit Australia with hopes of killing a massive, and dangerous water buffalo with a bow. Also for the first time, my 14 year old son Pat Jr. will be joining me on his first international bowhunting adventure. The hunt takes place over two locations and trips. The first was suggested by my friend and Bowsite.com contributor Antonio Lara. 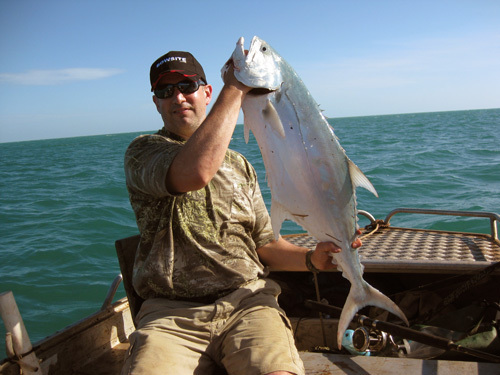 Antonio is the owner of Australia Bowhunter Magazine and introduced us to Shane Yates, a bowhunter from Darwin, who arranged a fun-filled two days of bowhunting for boars, bowfishing for sharks, and saltwater fishing near Goulburn Island in Australia's Northern Territory. 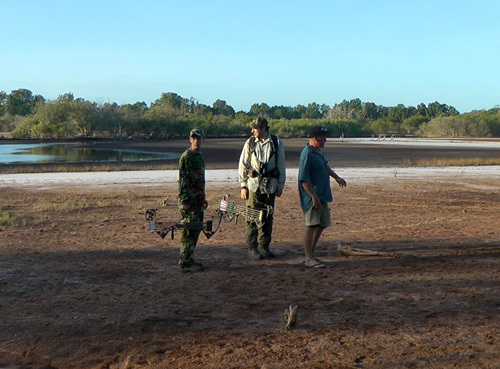 From there we will head back to Darwin for a flight to McCarther River, also in the Northern Territory with Mick Baker where we will start our guided water buffalo hunt and spend the remainder of the trip. 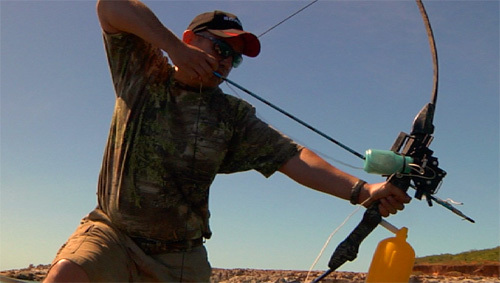 Since bowhunting in Australia is not as well known regarding methods, varieties of game, regulations (lack of) and the Australian culture we will try and educate you along the way. 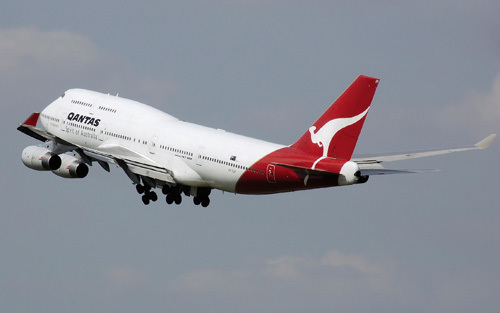 Qantas was our home for over 30 hours of flights. This was my first time flying them and I was impressed. The day before - Our flight took us from JFK in New York to LA and then to Sydney. An hour after arriving in Sydney we boarded our final flight to Darwin. After nearly 2 days of flying we were shaking hands with Shane Yates and Antonio Lara. We wasted no time and headed out for a four hour drive to Goulburn Island and here we were jetlagged and tired, but excited for two days of fishing, bowfishing sharks and some hog hunting. We set up camp in the trees about 100 yards from the beach and hit the sack early to try to slam ourselves into our new sleep schedule which was 13.5 hrs ahead of the East Coast time zone. The first morning we decided to split up. Antonio took my son Patrick with him to find a hog while Shane and I headed about 3 clicks east to try and catch some shark bait. Shane knew this area well and handed me a rod with a 5” popper. We trolled and before long I caught my first fish in Australia. It was a queensfish and it hit that popper like a largemouth bass back in the states. Shane would troll the boat back and forth along an underwater ledge and we caught a fish on just about every 3rd run. It was an absolute blast. Pat and shane use surface poppers to catch some bait. Here is a nice queenfish that we released. We didn't need one this big for sharks. 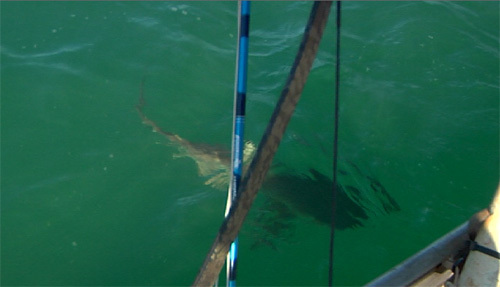 Using a muzzy gator kit pat draws on one of many reef sharks that were circling the boat. It was much harder than it looks. After we had enough bait, we headed west and anchored up to begin chumming. It took about an hour before the first sharks showed up. They were small, probably about 3-4 feet head to tail. They were also pretty spooky. We had great fun trying to bait them in close but they were too smart for that. I had three shots - and I missed all of them. I don’t know if it was the crystal clear water but I was not shooting low enough and kept missing high. No big sharks showed up and we decided to see how the boys made out on hogs so we headed back to our campsite. A common sight. This 4' reef shark cruised just below the boat. they would stay down about one to two meters under the surface. Patrick and Antonio didn’t find any hogs so after a quick bite we all headed out to a billabong (sort of like a swamp) to see if we could find some pigs. We walked quite a ways but the wind was swirly and the hogs were not cooperating. billabongs solo looking for hogs. 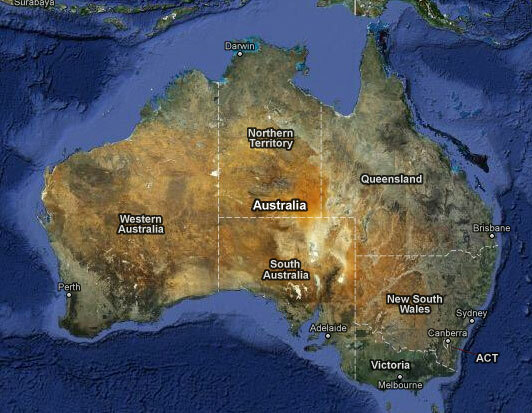 We began our trip in Darwin which is in the Northern Territory. From there Shane drove nearly four hours to Goulburn Island where we will spend our first two days.